The owners of Lot. 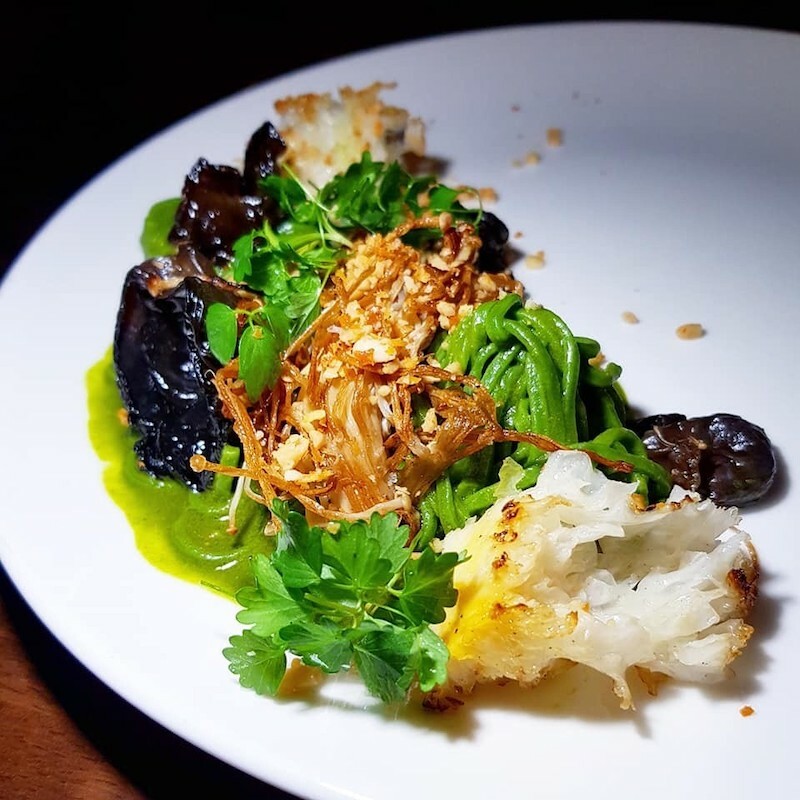 One do not want to define their cuisine as simply modern Australian, and we can verify, their food should not, and isn’t, defined by much at all, except their finite focus on good quality and great taste. Lot. 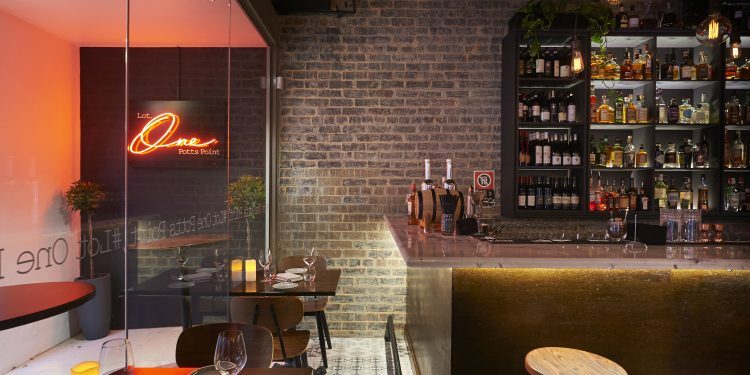 One and their approach to food has been influenced by Australian cuisine, where it came to life, and a fusion of just about everything else. 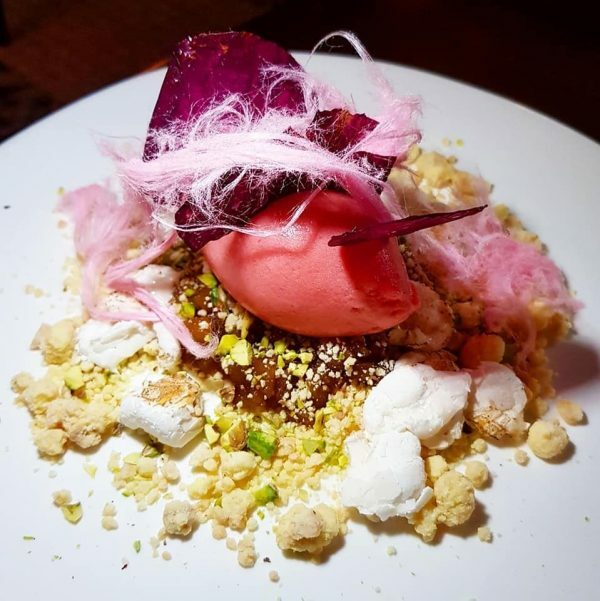 The owner, Michael Bradley, is enthusiastic and passionate about food and the way different flavours can work together to create something that will be enjoyed immensely. 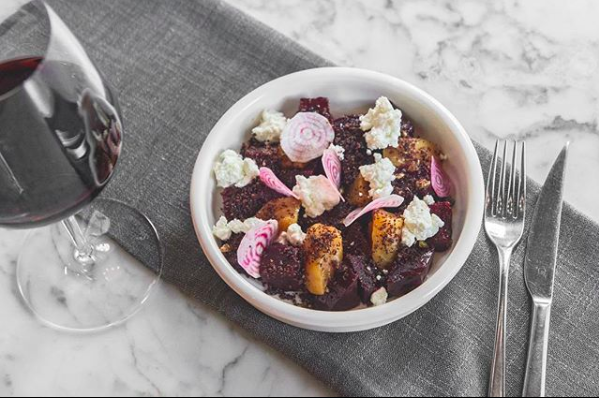 The new Spring/Summer menu is a standout, with a wide rage of diverse dishes that reflect the warm weather and are guaranteed to have something to please everyone. 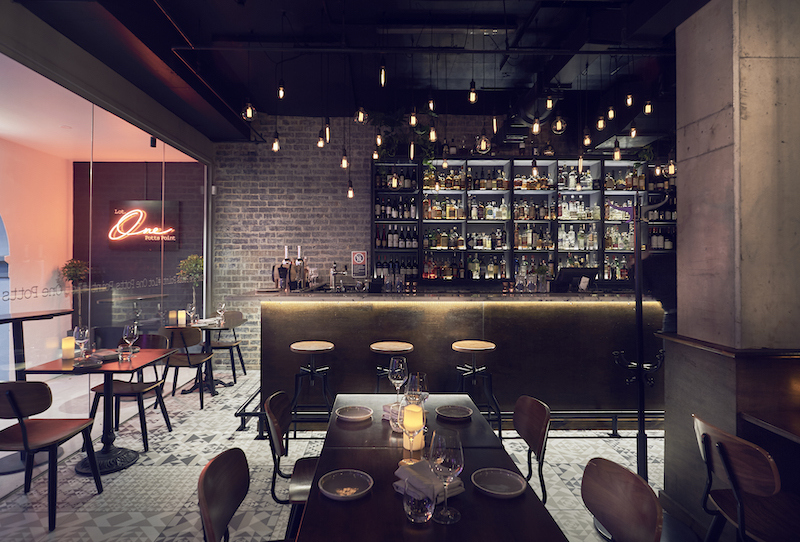 The trendy interior is a mix of open brick and industrial chic that is pleasant and comfortable, while a cosy aspect is provided from the candles on each table. 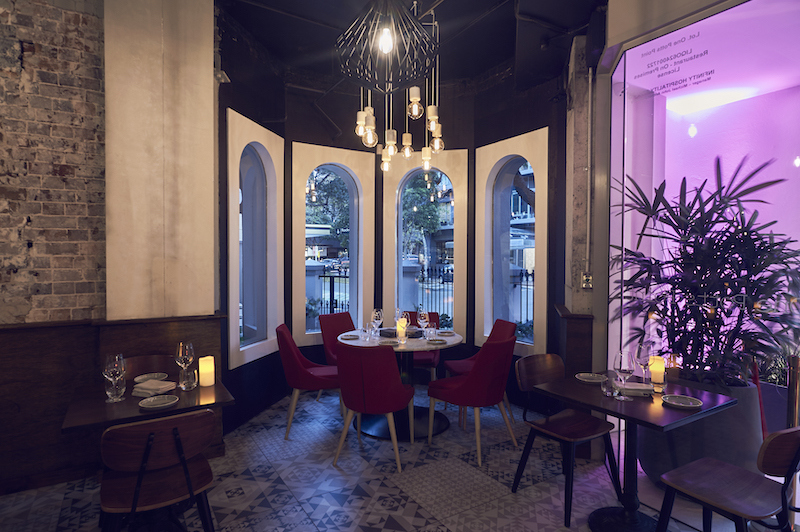 The atmosphere was diverse; a family could sit and feel completely at home while the cosy booths on the back wall would be perfect for an intimate meal. We chose the 5 share dishes option and trusted the owner to surprise us with his favourites. Not going to lie, these dishes are now also our favourites. The menu is split into small meals, large meals and desserts. 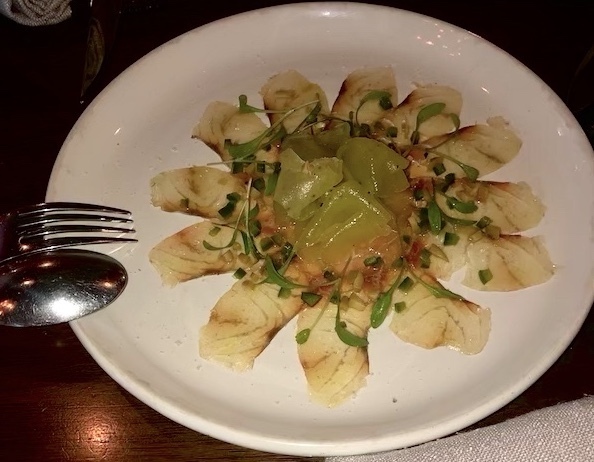 Our first small dish was the Barramundi Carpaccio ($24) with honeydew melon, olives, jalapeño and coriander. As someone who does not eat fish very much, let alone raw fish, I was very pleasantly surprised. The flavours worked together in unison and the barramundi practically melted in the mouth. It was over far too quickly, but we were keen to see what was coming next. The second and last small dish we got was the Soft Shell Crab ($4.50 ea) with green curry mayonnaise, chilli and lime. I had no idea how green curry mayonnaise could compliment crab, but it went above and beyond complementing it as I felt it couldn’t possibly be eaten without it. This was my favourite dish of the night. The crab was deep fried, delicious and an introduction into a night of assorted flavours, showcasing mini-journeys to the different cultures the tastes originated from. The crab was followed up with the first large meal of the night, the Nettle Tagliatelle ($25) with pesto, mushroom, manchego, and pine nuts. The pasta was made from nettle, while the mushroom, or funghi, served as the other main ingredient. 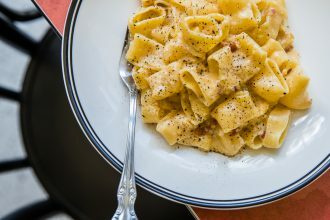 The nutty flavours accompanied the mushroom and tagliatelle to create a lightness that is not usually found in pasta, and was well suited to the night as we had two more dishes on the way. The main meal of the night was the 200g Grain Fed Fillet Steak ($42) with a burnt leek crust, Lot. One’s secret moʊli, tomato and Spanish onion. The sauce, which owner Michael Bradley confided in me, is commonly known in Mexico as the ‘never ending sauce.’ When it is cooked and served in Mexico, the ingredients added to the mix are never the same. 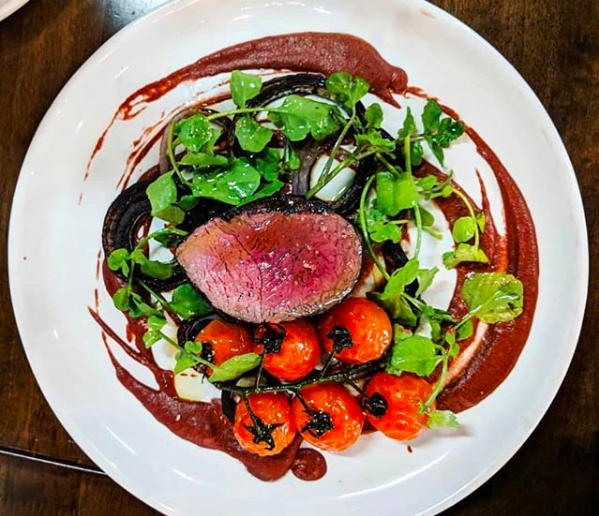 To pair a slightly spicy tomato based sauce with steak is not distinctly modern Australian, which is exactly Michael’s reason for branding his restaurant as an Australian and everything fusion. To accompany the steak we were served thrice cooked potatoes ($10) and a feta and beetroot salad ($12). 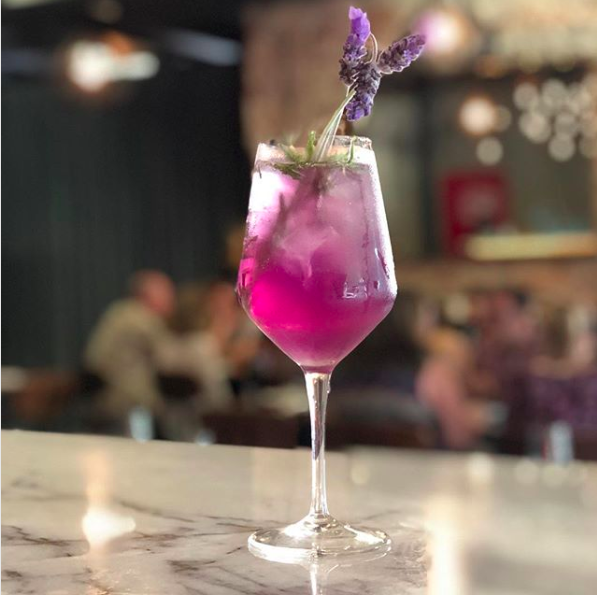 While feasting, I was sipping on the aptly named cocktail, My Beautiful, which consisted of Lavender infused gin, Elderflower liqueur, Butterfly Pea, Citric acid and sparkling wine. For dessert, we opted for two out of the four ‘Sweet’ options, the Bounty ($14) and the Turkish Delight ($14). 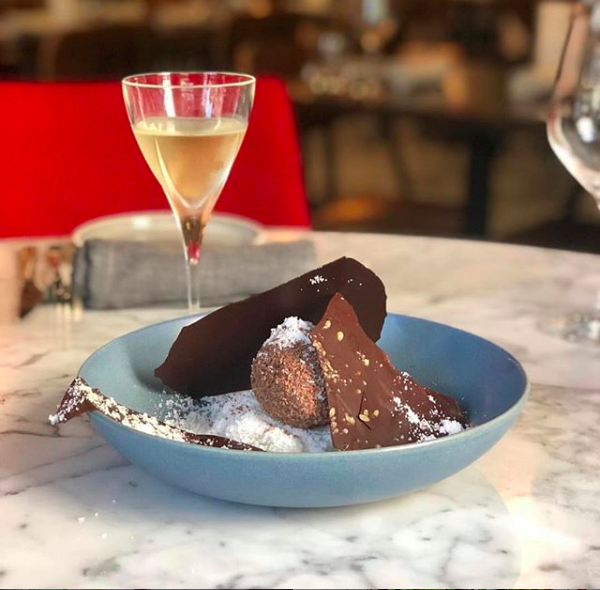 Both takes on the original chocolate bars, these desserts were a deconstructed ‘mess’ of goodness; the Turkish Delight has come close to being my all-time favourite dessert. I plan on going back, and would highly recommend going and trying some of the delicious, beautifully presented and uniquely paired food that Lot. One has to offer.